If you have a smartphone, chances are that you use emoji. With the rise of social media and instant messaging apps like Kik and SnapChat, emoji have become a standard and accepted component of text conversations. Currently, as many as 1,851 emoji characters are supported by various platforms and they play an important role in adding context to text conversations. Keep in mind that the appearance of emoji can vary by platform, as the images are specific to each particular system. These are some of the most common expressions across a number of platforms. What Do the Ghost Faces on Snapchat Mean? 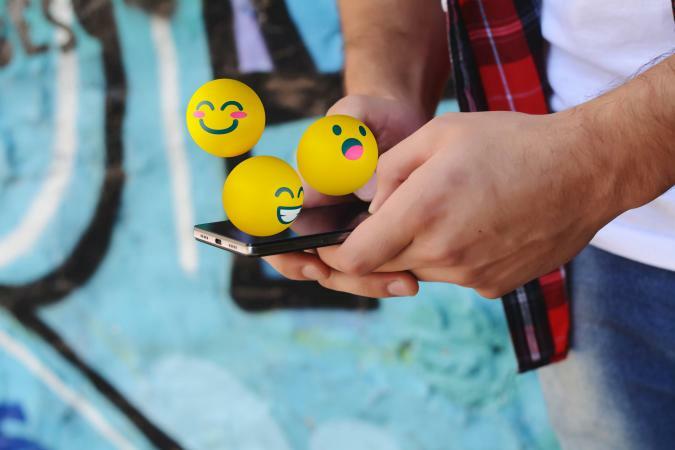 These emoji faces are a fun and quick way to express yourself over text messages. While there are no hard and fast rules for when to use them, there are a few unwritten rules of emoji etiquette that should be followed. Emoji should typically be used to complement words or a conversation, not as a substitute for words. Emoji are not universal, so be aware that they can be misinerpreted by the recipient. Emoji are indicitive of more casual conversation. If you choose to use emoji in the workplace, keep in mind that less is more. Only use emoji at work when their context and meaning are completely clear. When discussing a serious subject, it's probably best to not use emoji at all. For example, in case of a family emergency, use fewer images and more words. If in doubt, choose whether to use emoji and which ones to use based on your personal relationship with the other person in the conversation. But love them or hate them, emojis are here to stay!